One resourceful company is reinventing the ruler. 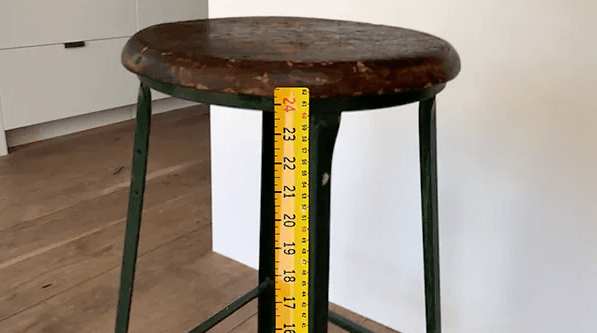 Creative collective Laan Labs has developed a nifty mobile app that relies on augmented reality technology to turn your smartphone into a legitimate measuring device. To accomplish this, AR Measure factors in the distance between various points in 3D space to help you measure any physical object by simply using your phone’s camera. All it takes to put the virtual ruler to use is point your camera, select your desired starting point and pull your phone away from it. AR Measure will then calculate the distance between your starting and end points – sort of like a virtual measuring tape. As you’ll notice in the demo video, the app appears to be off by a few millimeters; but it’s still remarkably functional despite these little kinks. Unfortunately, Laan Labs has yet to set a release date – which means you might have to wait a little longer before you get a chance to toy around with AR Measure. Given that it runs on Apple’s new ARKit framework, chances are AR Measure will land later in spring when iOS 11 rolls out publicly. In the meanwhile, you can enter your email address here so Laan Labs can notify you once the app makes its debut.